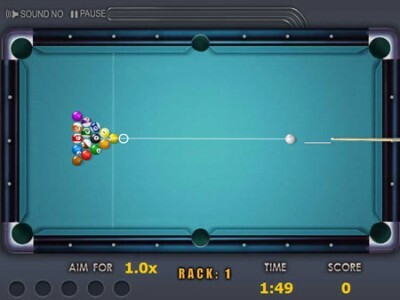 Quick shooting pool. Games online. Aim at the ball, set the direction and drag the mouse back to set the speed of the hit. Get as many balls in the pockets before the time is up. The more balls you get in the more time you will have available for the next round.